We start implementing our real-time drawing story by adding new client and server events for line drawing. This raises a question: adding new behaviors requires a lot of little edits across our codebase. 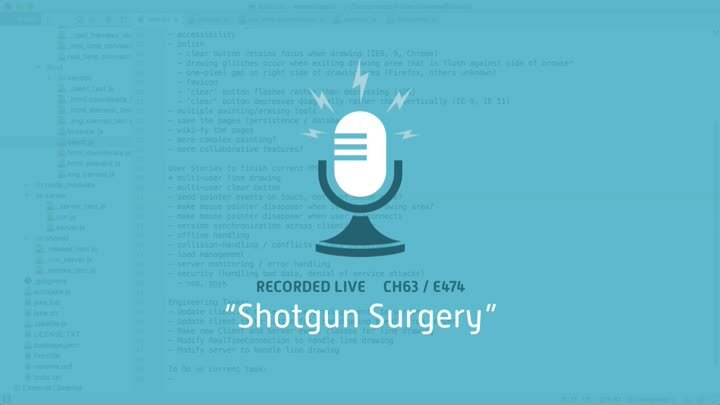 It’s a textbook case of the shotgun surgery code smell. How can we eliminate this smell from our code?